Industrial fan repair shop work or on site in the field. Industrial fan repair is a specialty of Prime Machine. 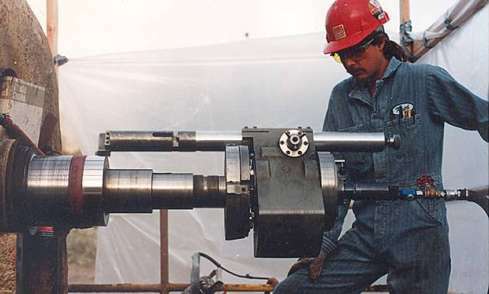 Whether it is on-site vibration analysis, replacing bearing, laser alignments of motor to fan, dynamic balancing or a complete shop rebuild of rotor we have the expertise. We have saved our customers substantial money and time by field machining new bearing fit on site at their plant saving the dis-assembly, shipping, shop work and reassembly of large fans. 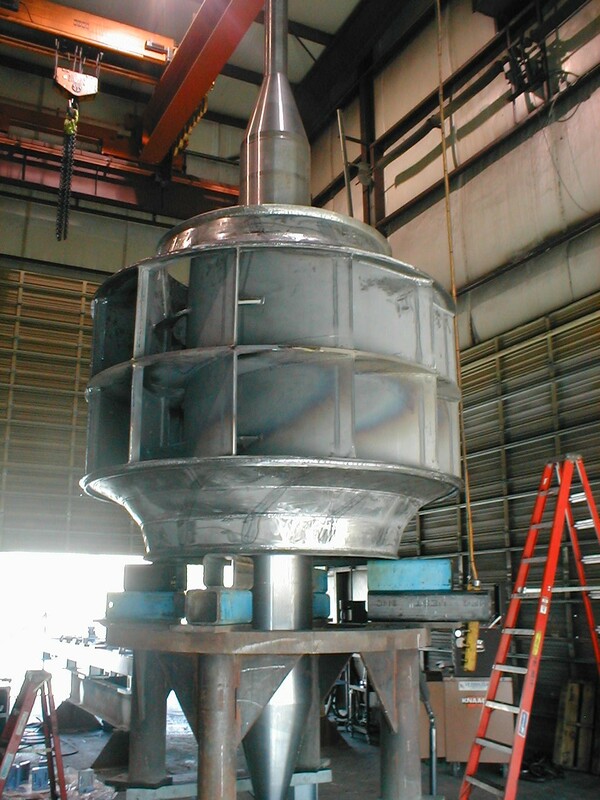 In our shop we have all the fabrication and machining capabilities to complete extensive industrial fan repair. Complete manufacture of new shafts in our large lathes. Complete detailed reverse engineering of all features and materials so that rotors are exact duplicates. Shroud metal spinning, complex fabrication of wheels with machining of new wheels hubs to fit shaft. The installation of shaft in the new wheel. Dynamic balance of fan rotor in the shop. Additionally should grouting of soul plates be required we are capable of placing the new soul plates and grouting them in position. Dynamic balance of large fan for power plant in our shop. Work including welding repairs to fan. Machine new large fan shaft and install in wheel. Machining large shaft for the repair industrial fan for power plant. Reverse engineering of fan wheel using state of the art measuring methods and software to provide models with all geometric parameters. Complete fabrication of fan wheel to engineered dimensions. power generation, mining, rock and carbon products, chemical, air pollution control, food processing, material handling, process ventilation, ovens and dryers, iron and steel industry, mining, petrol-chemical, power generation, marine, pulp and paper, HVAC, fertilizer plants, emission controls, institutional and retail buildings, schools, restaurants, hospitals, and many others. High speed rotating equipment rebuild of centrifugal blower on site. Rotor work, new bearings and seals. Design and build new high speed blower rotor. Vibration analysis and on-site dynamic balancing. Laser alignments and belt adjustments. foundation repairs including grout work. Field service repair of fan by machining shaft seal surface.